Hey Everyone! Today I wanted to share some of my top fragrance picks for gift ideas! I have recently loved collecting perfume bottles , they are so beautiful and you can keep them as a decorative piece even when it is all used up. Here are some of my top favorite perfume choices that I have been loving this year! Tocca also has beautiful scented candles that are also a great gift if you are looking for something more universal. 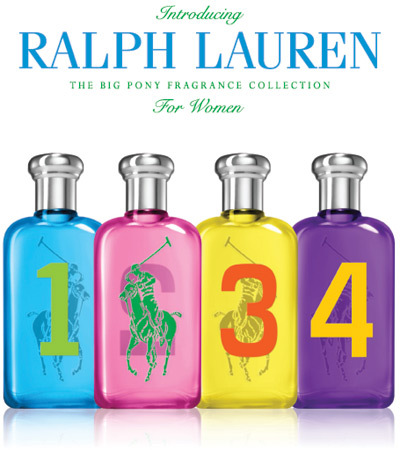 Ralph Lauren Big Pony Collection Fragrances. These fragrances are so cute! 1, 2, 3, and 4. A pink, yellow, blue and purple each with a different fragrance. You can buy one separately if you think you know what fragrance she would like, or buy the gift set with a mini size of all the fragrances. For more fragrance ideas , stay tuned to tomorrows blog post! Make sure you subscribe to my blog to keep up with all the updates!